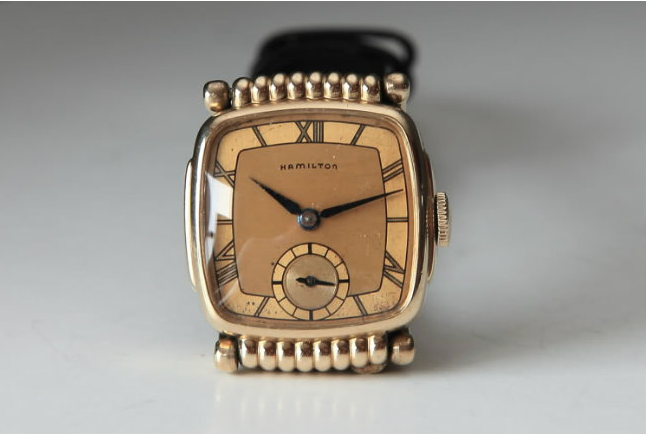 One of several Hamilton models with swivel lugs, the Russell was introduced in 1940 and produced for two years. 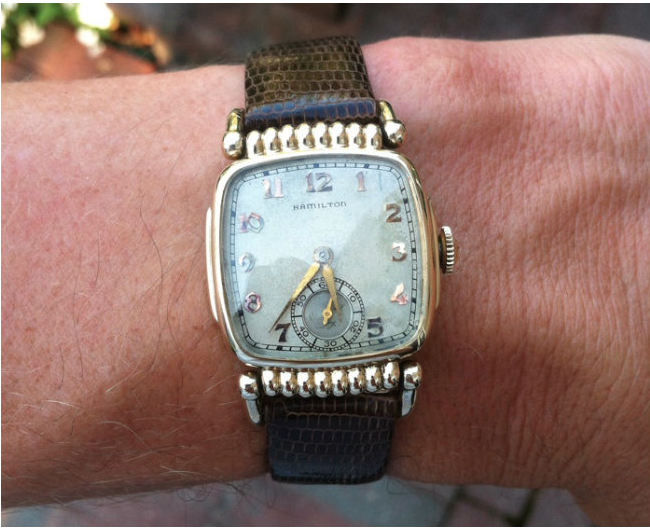 It featured an AGN dial in both years and two different gilt dials, both with roman numerals. Under the hood you'll find Hamilton's 6/0 sized, 17 jewel 987A beating away. All dials are sterling silver and the applied gold markers are solid 18K gold. The case is often found with excessive wear through to the rounded section above and below the dial. Sometimes there is excessive play to the hinges as well and I've come across more than a few missing one side or the other. On the wrist it's a fairly comfortable watch. With the hinged lugs you can also wear it like a drivers watch on the inside right of your left wrist.